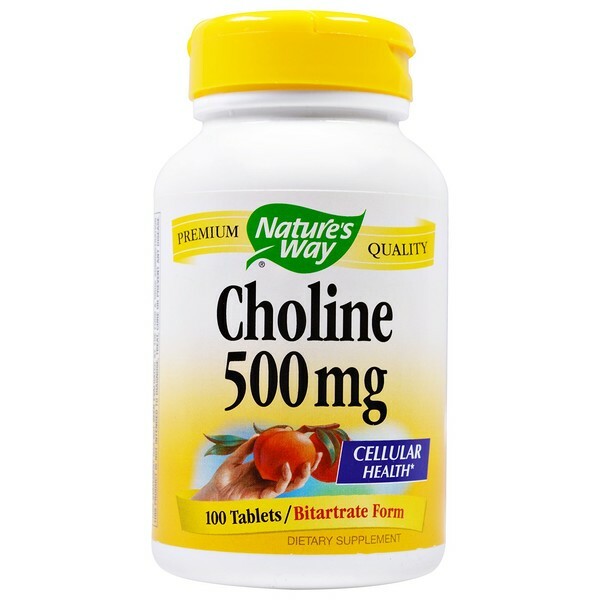 Choline is the precursor of the neurotransmitter acetylcholine and is involved in healthy brain function. 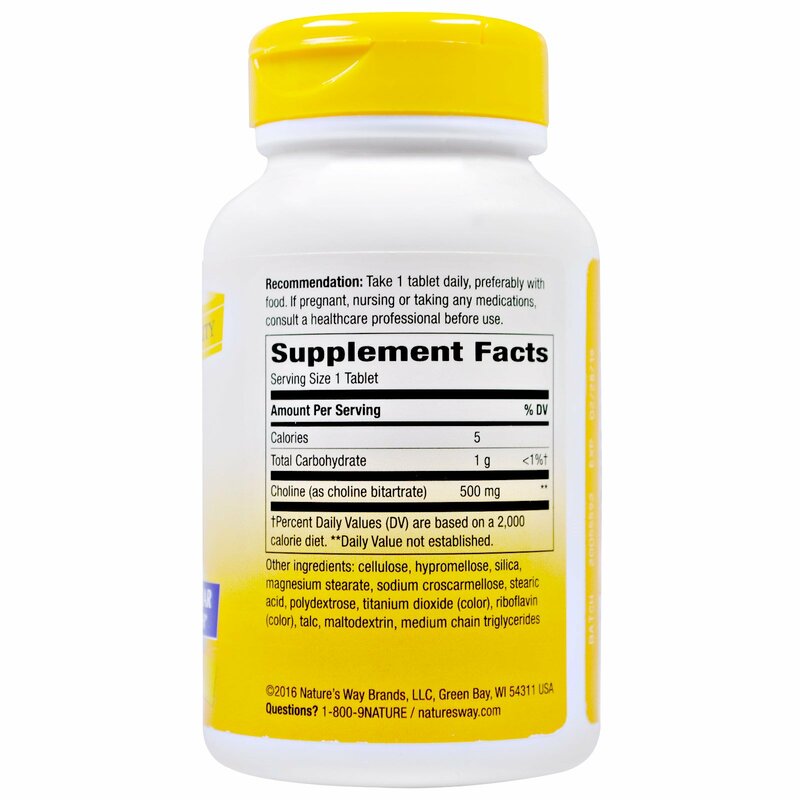 It is essential for normal function of all cells. Our choline is carefully tested and produced to superior quality standards. Cellulose, hypromellose, silica, magnesium stearate, sodium croscarmellose, stearic acid, polydextrose, titanium dioxide (color), riboflavin (color), talc, maltodextrin, medium chain triglycerides. No salt, yeast, wheat, soy, dairy products, artificial flavors or preservatives. If pregnant, nursing ot taking any medications, consult a healthcare professional before use.